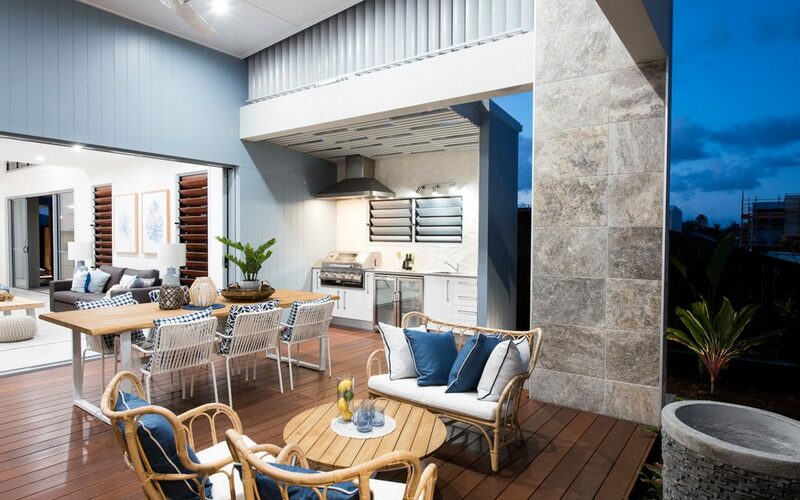 McLachlan Home’s latest display home, The Nadia, features a stylish coastal design. Showcasing a variety of textures, materials and heights, its façade has an impressive street presence. Upon entry through the gatehouse, the alfresco area draws you in with its charm and elegance. 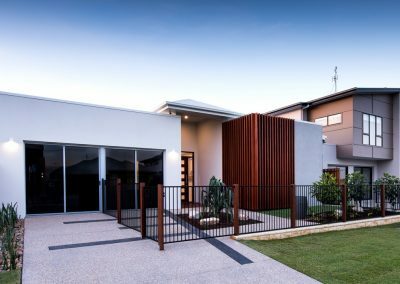 The space includes electric shutters, a stunning travertine feature wall, timber cladding and striking decking. 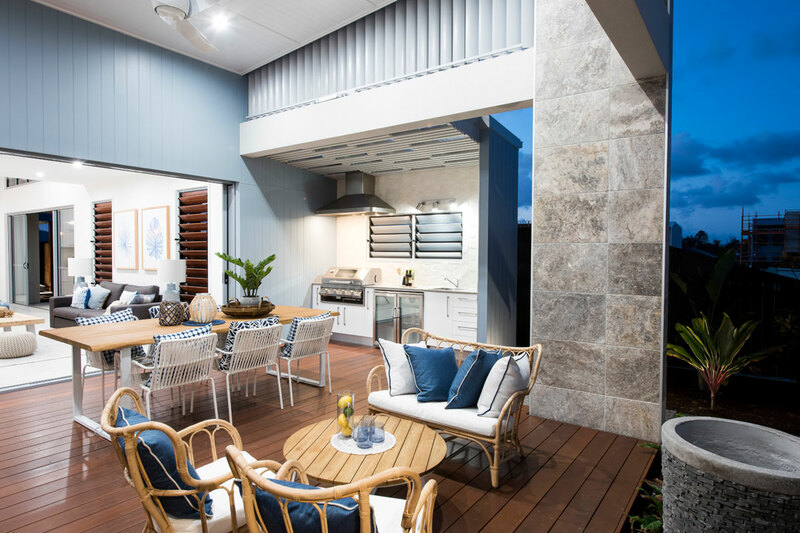 Complete with a fully-functional outdoor kitchen – which incorporates Alsynite roof sheeting, contemporary stone tiles, an externally ducted rangehood and feature lighting – the area is a perfect place to entertain and relax. The cavity stacker doors create a seamless flow between the deck and the internal open-plan kitchen, living and dining area. 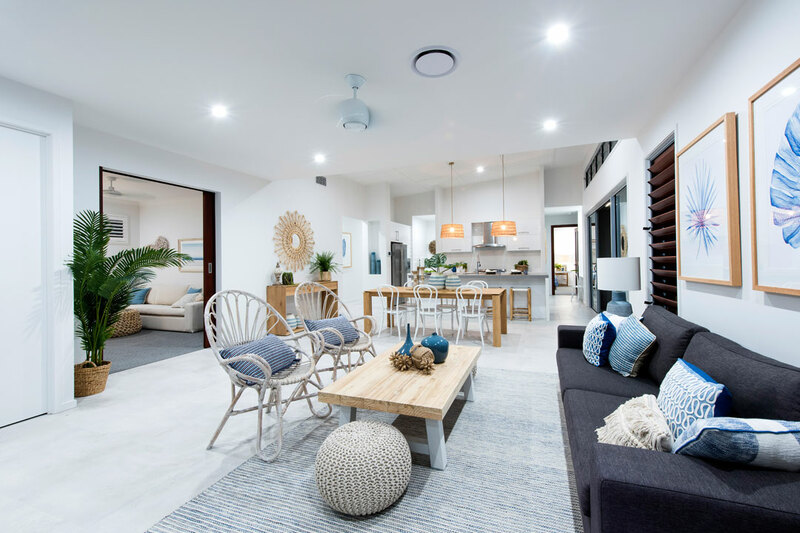 Showcasing a complementary colour palette, the kitchen is luxurious and functional, with a stone benchtop, walk-in pantry, pendant lighting, and private study nook. The raised ceiling of the kitchen and dining zone creates a sense of grandeur, and the pergola welcomes an abundance of natural light. Offering flexibility and versatility, The Nadia includes three bedrooms and a multi-purpose room that can easily be transformed into a fourth bedroom. Designed with privacy in mind, the bedrooms are secluded from the hub of the house, and feature ventilated solar-power skylights. The main bathroom showcases elegant lines and modern elements, including floating cabinetry and a soft coastal colour palette that blends with the rest of the house. The main suite is a sophisticated retreat, with beautiful stained-timber pivot doors that create a grand entry. Featuring an adjoining pergola and a generous-sized walk-in wardrobe with custom-built cabinetry, the space was designed with functionality and luxury in mind. The en suite includes a double vanity unit and a ceiling-height feature wall. 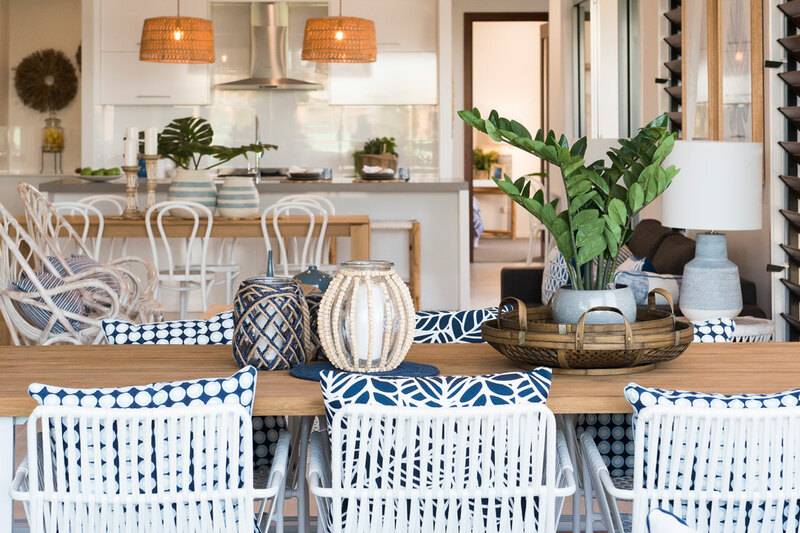 To view McLachlan Home’s stunning new boho-chic display home, visit Harmony estate in Palmview.